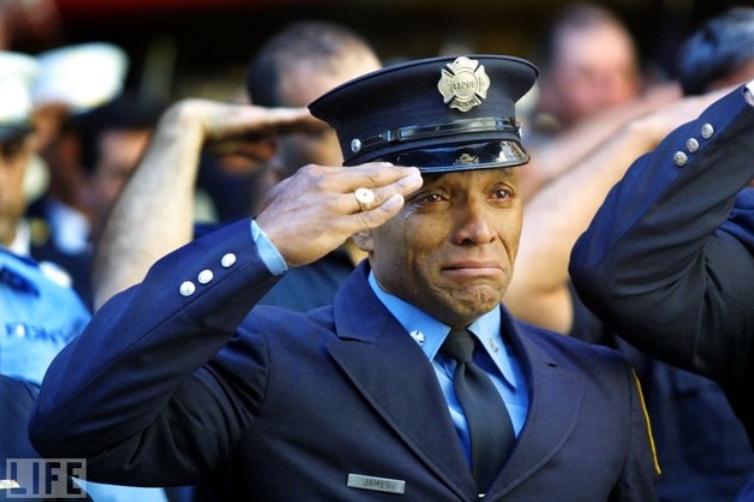 Here's my WND column for this weekend entitled We Will Never Forget. Or Will We? 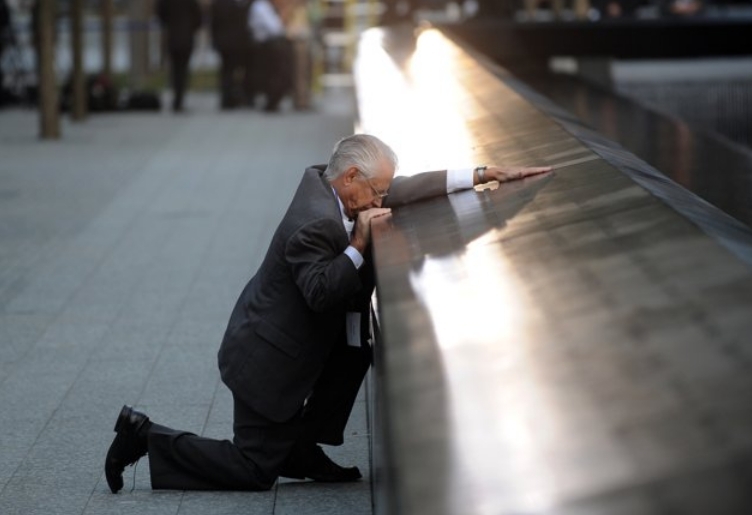 I didn't know a single soul that died on 9/11. But I remember it like yesterday. I remember where I was at during those faithful moments. I remember fearing for my husbands life because of what his line of work is. I remember praying for my husband to come home because I really needed him and God allowed him to walk in the door. I sat for 2 days and watched the news, just crying, rocking, and nursing my 3rd child. It was such a absolutely horrible event in our nations history. I cry every single year for those souls we lost. It is beyond horrible. I never will have enough words to express myself about this. I have to echo the first two lines of this first comment. I was recovering at home after triple bypass surgery. I watched and cried. I knew almost immediately who had done it. If you recall, churches were filled with people seeking answers. The need for Godly answers seemed to wane quickly. Oh that we would turn to Him again, because the danger is still with us. I was teaching my first period class of 10th graders. When I walked out into the hall after the bell, I felt, yes felt! that something had happened. A teacher came up to me and said, "Oh, you don't know what happened," and led me into her classroom where the TV was on. Mutely, I and my 2nd period class watched the news. When 3rd period arrived, I announced that I was teaching the rest of the day because I couldn't take bodies falling from skies. Evidently the students agreed, because we then had a productive day as far as we could. In each class I asked the kids if they wanted to have a moment of silence since we could not pray. In each class, we stopped for a moment and every head bowed. In a public school, every head bowed. Afterwards, we discussed this. Many admitted to going home and praying, and many admitted stopping in church on the way home. Did I mention I taught in a ghetto school? Where praying was the last thing done by most? 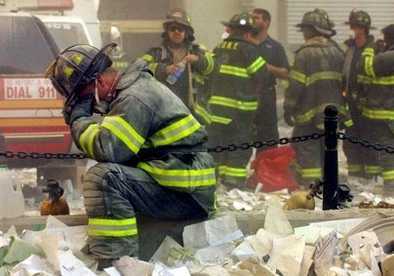 Even though I didn't lose anyone that day, my life changed in an instant on September 11, 2001. I can't even talk about it. No matter what I write, it's not enough. Have you seen the news, they want to do away with health coverage for those who helped afterwards? YAY, our gov't at work! All we can do is remember and PRAY, even as Just Me wrote, the words just aren't enough. I will go to my grave never forgetting or forgiving. 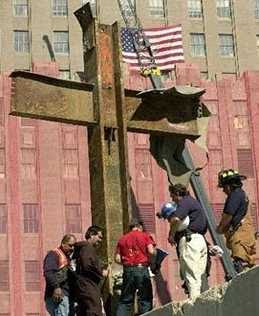 Not to take away from any remembrance of those who died that day, but did you know that a third building fell that day? I didn't know it until a couple of months ago, it seems to have been kept out of the MSM since that day. I trust nothing they say anymore. There are a lot of things unexplained about how those towers fell. I've never though of myself as a conspiracy theorist, and would have thought anyone who considered this could have been an inside job to be nuts, but I no longer feel that way. I'm starting to believe we're in a lot worse trouble that I believed a couple of months ago. “Both (our own government and terrorists) are actively planning the overthrow of America as we know it.” That is the truth. Never forgetting 9/11 is important. Learning the right lesson is vital. 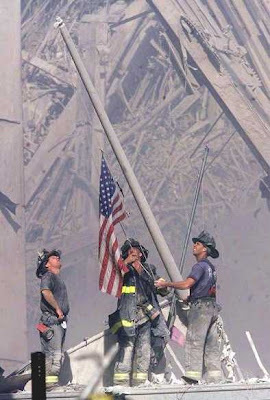 9/11 woke me up to Islamic terrorists, but more important it woke me up to the #1 Treat to America. Pursue the truth for yourself. 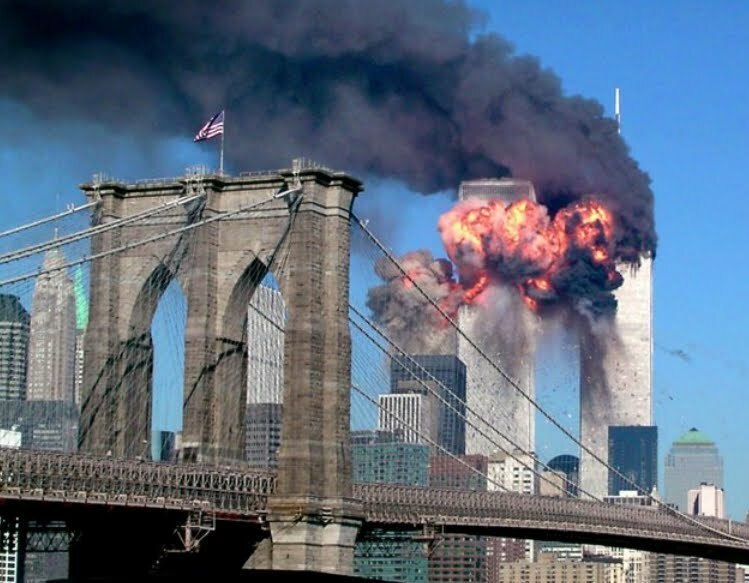 Most Americans think two towers were taken down on 9/11. NOT TRUE! Who took down the THIRD TOWER? And who made sure Americans know nothing about it? I am just one engineer. Don’t take my word for it. But do listen to what 2,350 engineers and architects are saying. Patrice and commenters have spoken what we believe is the truth. How much longer before web sites like Patrice's are shut down? How long before we are faced with fines, confiscation of property, incarceration, and loss of life, all enforced at the point of a gun by jack-booted thugs. Ridiculous you say? Then I say, you are the fool. It will be recorded for later viewing for folks who can't attend. God bless all here! Patrice, thanks for putting up my info about the prayer conference in Sandpoint...I'm coming from rural Oregon, hopefully with a friend or two, and would love love love to have you and 'Enola' share our motel room with us?! I emailed her contact info but don't have yours, so am putting this in as a comment. God bless all here! You're very kind, but my schedule won't permit me to attend. I'll be there in spirit, however! The sad truth is that 9/11 was not the beginning of terrorism. The sheep soon forget that the wolves were in the field the night before. I just returned from a midwestern state where my father, a retired US Army CSM passed on to his eternal sleep after four weeks of a valiant fight, which wasn't enough to overcome the lackadaisical care he got from the VA physicians (due to his age, I would guess). I bring up my father because due to his career we were stationed in Germany in 1972. He did two tours of Vietnam, did not escape either one with injuries (for which he had to fight again for his earned benefits) yet, the tour of Germany was probably the most fraught with stress because he had his family with him. Why would that be? He took over a command during a very active time in the Bader-Meinhoff gang. Personnel had died and attacks on their families were occurring. We were evacuated from our schools repeatedly every school year due to bomb threats. Lest I fail to complete the picture, race riots and black on white assaults and murders were rampant. My younger brother and I were picked up in military squad cars after threats were made against us and my older brother had lighter fluid squirted on him and he was set on fire on the school bus. None of this was newsworthy then and much of this doesn't make the news today. While in Columbia MO, I listened on the radio as the newscaster told of a bomb in a parking lot that the police bomb squad disabled, told as if it were every day news. I would never have abandoned my dad in the hospital but it occurred to me that I wasn't at home in a rural area of Idaho where I felt a modicum of safety. Don't look behind the curtain. Move on, nothing here to see. People are trained by the media and that media mouthpiece you quoted is doing his part to brainwash the masses. It works, too. I was at a local hospital here in San Diego and noticed their flag was not at half mast on the 11th. I politely mentioned it and asked the receptionist at the information desk if it was possible to call out building maintenance to have it fixed. She replied that having it lowered wasn't possible and suggested that "perhaps others would rather forget about it". My jaw about hit the floor and all I was able to utter was that I certainly hoped not.